Mini Popcorn Machine LPG is a complete commercial machine Butter and Caramal popcorns. It is ideal for professionals as well as new start-ups and is suitable for making 200/300 packets in a day. This Popcorn Machine has unmatched features. This Popcorn Machine is made entirely of stainless steel, so that it never get rusted, just wipe and clean. Only First class industrial Electrical parts have been used. The mechanical gears are also made with stainless steel. 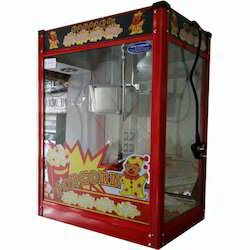 Popcorn Machine is a complete commercial machine Butter and Caramal popcorns. It is ideal for professionals as well as new start-ups and is suitable for making 200/300 packets in a day. This Popcorn Machine has unmatched features. 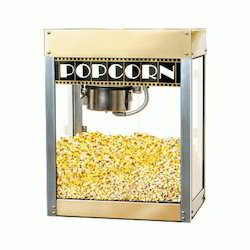 This Popcorn Machine is made entirely of stainless steel, so that it never get rusted, just wipe and clean. Only First class industrial Electrical parts have been used. The mechanical gears are also made with stainless steel.